In honor of St. Patrick’s Day, Vestal Corporation would like to acknowledge one of our team members for their outstanding service to St. Louis and its Irish community. Vestal’s Lead Plumbing Engineer, Joe Milligan is a volunteer member of the Metropolitan St. Patrick’s Day Parade Committee (MSPDPC). The committee is an all-volunteer pool of men and women from a broad spectrum of St. Louis backgrounds. These members possess the desire to better the environment around them by extending their resources of talent and financial support for the benefit those in need within the St. Louis community. Joe has served this mission for over 30 years. Joe has served as the Parade Director, Committee Chairman and is now on the Board of Directors of the MSPDPC. The organization donates $25,000 annually to charitable organizations like the St. Patrick Center, BackStoppers and Gateway to Hope. 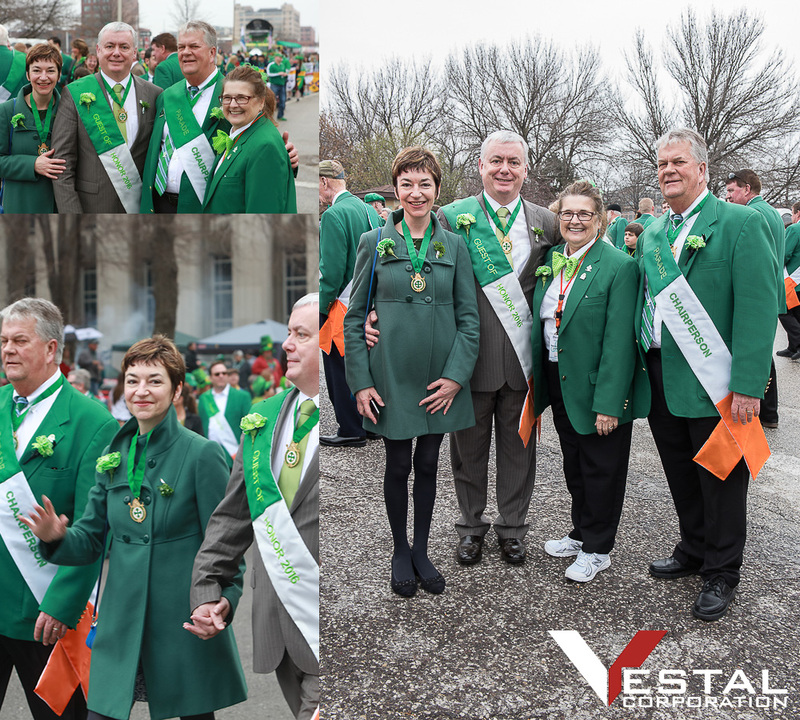 2019 marks the 50th Anniversary for the St. Patrick’s Day Parade; it could not have become this strong of a tradition without Joe and the rest of the St. Patrick’s Day Parade Committee’s dedication and hard work. Thank you Joe for all you and your family have done for the St. Louis Community, we are lucky to have you on our team.